La Belle Wines can professionally package your order with our quality wine packaging products. Why stop with just corporate wine labels? Add that final professional touch to a fantastic corporate gift by including personalised wine packaging. 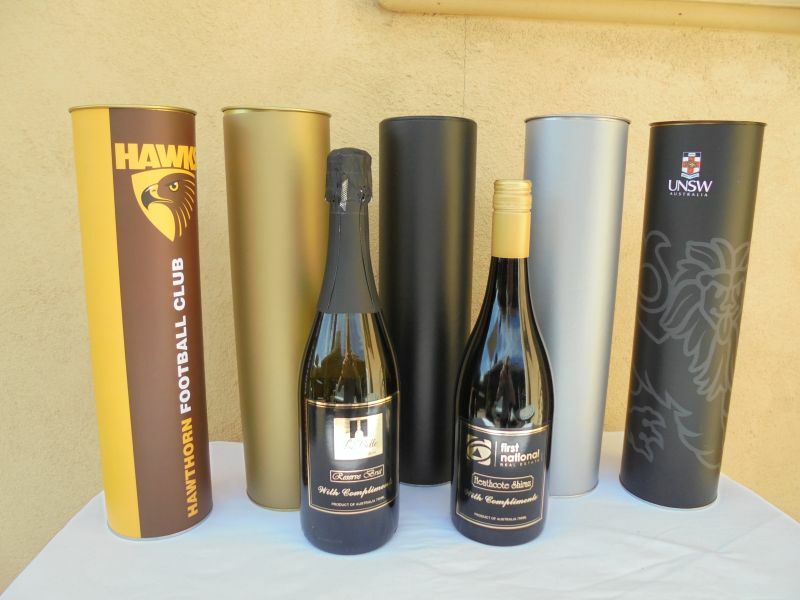 We can give your wine selection that “professional finish”, with a range of packaging from cello wrapped, to labelled or printed wine tubes, twin or triple pack boxes, and wine bags. Prices range from $1 for cello wrapped to a quoted price for full printed wine tubes.